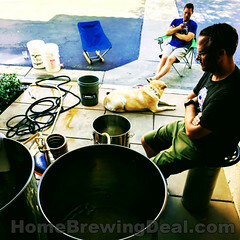 Sale Description: Adventures in Homebrewing currently has a sale going on where you can get a Homebrewing Grain Mill For Just $99. Adjustable 2 roller home brewing grain mill with a 7 lb hopper and wood base. If you are not milling your own grains now, there are a couple of good reasons for doing so. First off is that you could be saving a lot of money by purchasing your 2-row in bulk and milling it your self. 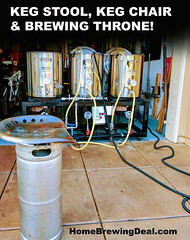 A homebrewing grain mill is super easy to use and at this price your can get a top quality mill for less then half the cost of some of the other beer brewing grain mills out there. 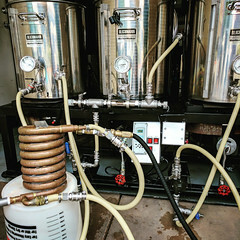 Another reason to purchase your own home brewing grain mill is that you can be assured that you are milling your grains with the best crush setting to get the highest level of mash efficiency possible. 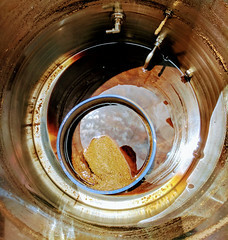 If you home brewing recipe supplier is not crushing your grains right, you will not be able to extract as much of the sugars from your grains and your beer may have to pay the price! Easy to adjust – simply loosen two screws, adjust gap, tighten two screws.